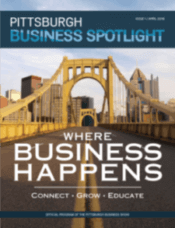 For years the Annual Pittsburgh Business Show has reached out to both small and large business owners and professionals in and around the western Pennsylvania area. We created partnerships with organizations such as Junior Achievement, The Alternative Board, SCORE, Pittsburgh Women’s Masterminds and the Women’s Small Business Association. We have partnered with media sources including KDKA, The CW, WDVE, and the City Paper. We enjoyed the support of professionals, such as Darieth Chisolm, who helped us promote the Show. Register to attend one of the largest Pittsburgh Networking Events! Our goal is to attract and engage an even greater number of business owners and executives in Pittsburgh to come together to generate new leads and partner opportunities, while learning about new products and services. Many business owners and their staff are busy working in their business, not on their business. The issue is—when do you have time to develop the skills that you’ll need in the future? Workshops teach skills that all businesses can use, so put your time to good use, and plan for your company’s future. Hearing from other business owners is valuable, because you’ll learn from people who know just what it’s like to be in your shoes. Most workshops offer an interactive setting where you can ask questions and offer ideas. Yes, everything is tied to networking! The other attendees in your workshops are eager to learn, just as you are, and it’s a good place to connect to both them and their business. After the business show, you can return to your company and share everything that you’ve learned with other management staff and employees.